Issuers of unsecured credit cards extend a line of credit based on your credit score and income. Issuers of secured credit cards extend a line of credit equal to a required cash deposit. Both cards come with fees and interest charged on carried balances. Most people with a 640+ credit score get unsecured credit cards. Unsecured credit cards often come with cash back or travel rewards programs. They may also come with an introductory rate of 0% for up to 15 months. New cardholders also often qualify for generous introductory bonuses. Applying online takes just a few minutes. The main difference between secured and unsecured credit cards is that a secured card is backed by a security deposit (collateral), and an unsecured credit card is not. Individuals with poor personal credit may also find that the qualification requirements of a secured credit card are easier to meet. If your personal credit score is below 600 and you can’t meet the qualification requirements of an unsecured credit card, a secured credit card can be your ticket to accessing financing. Individuals should also consider using a secured credit card if they want to build or improve their personal credit. Although they’re typically more expensive and riskier, if you have good personal credit, you can avoid having to provide collateral. Instead, your possible approved credit limit is based on an evaluation of your personal credit history and credit score. Generally, credit card providers require that you have a personal credit score of 600+ (check yours for free). Self-employed small businesses owners should consider secured business credit cards when they can’t meet the qualification requirements of unsecured credit cards. Similar to a personal secured card, secured business credit cards can also help build or improve your personal credit. Most small business credit cards are usually classified as unsecured credit cards. Unsecured business credit cards are an inexpensive, short-term financing option business owners can use for their business-related purchases. Generally, you need to have a personal credit score of 640+ to qualify for an unsecured business credit card. 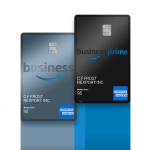 These cards are a great way to earn rewards, float business expenses, and manage employee expenses through employee cards. If a secured credit card doesn’t seem like a good option for you and you don’t meet the qualification requirements of an unsecured credit card, consider a prepaid credit card. Prepaid cards are a good option if you’re not certain you can repay a monthly credit card bill, because you can only use the amount of funds you preloaded. Prepaid credit cards don’t require a credit check and your approval can take just a few minutes. Once you’re approved for a secured credit card, you’ll be required to submit a cash deposit that will be held in a collateral account. Your credit limit will always be equal to your cash deposit. If you want to increase your credit limit, you can typically make an additional deposit to your credit card provider. You can use a secured credit card online or at any store that accepts the card up to the amount in your cash deposit account. Every transaction you make will be reported to your provider and will appear on your monthly billing statement. To reuse your credit limit, you must repay a portion of your current outstanding balance. Your credit card provider will send you a bill every 30 days. Although it’s expected to be repaid every month, you’re only required to pay a monthly minimum payment. Any unpaid balances will be charged interest until they are entirely paid back. Once you receive your credit statement, the process starts over. Once you’re approved for an unsecured credit card, you will receive your card within seven to 10 days. You can use your credit card online or at any store that accepts the card, up to the amount of your approved credit limit. In order to reuse your revolving line of credit, you must repay your credit provider. Every transaction you make will be reported to your credit provider and will show on your credit card statement. Your credit card provider will provide you with your bill every 30 days, which is expected to be repaid on a monthly basis. However, only a monthly minimum payment is required. Any unpaid balances will accrue interest until they are fully paid off. Once you receive your bill, the credit card process starts over. When it comes to costs and repayment terms, both credit card options have the same structures, which include interest rates, annual fees, and monthly repayment schedules. Secured cards have lower costs because providers perceive secured credit cards as lower risk since they’re backed by liquid collateral (cash). The costs of unsecured credit cards are higher because there is no collateral, which means you’re personally responsible if you don’t pay. The costs of secured and unsecured credit cards typically include the expected interest rate and any annual fees. The amount of your credit limit that you use is meant to be repaid on a monthly basis. If you fail to do so, any unpaid balances will accrue interest until repaid. We recommend paying off your balance in full to avoid any possible interest charges. Secured credit cards are usually an excellent option for poor or bad credit borrowers. However, they don’t provide the best access to capital because it’s equal to what you bring in to your provider as a security deposit. If you’re looking for a more substantial credit limit to work with and can afford a more expensive card option, an unsecured card may be best for you. Compared to secured credit cards, unsecured credit cards tend to be more costly and risky because there are typically no collateral requirements. This means you aren’t required to provide the bank with a cash deposit to secure financing. It’s common to see annual fees up to $100 and interest rates as high as 36%. 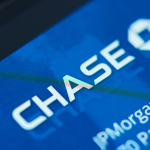 At the expense of not requiring a cash deposit, credit card providers generally associate higher interest rates and annual fees to riskier borrowers. Keep in mind that the better your personal credit and credit score are, the more favorable terms credit card providers are willing to offer you. For example, individuals with higher personal credit scores typically can access card options with lower annual fees and better interest rates. Searching and applying for credit cards that offer cash back or point-based rewards can be an easy way to save money on eligible purchases in the long run. Not all secured and unsecured credit cards offer rewards, but those that do sometimes offer both introductory and ongoing cash back or point-based rewards. The rewards program a card offers sometimes is the deciding factor when comparing two different cards. Credit cards that provide some sort of cash back or point-based rewards will usually carry annual fees up to $100. Although this seems costly, if you’re using you card for everyday expenses, it’s likely you can offset this annual fee quickly. Business owners looking to save money on business-related expenses should apply for credit cards that provide rewards for spending categories relative to their everyday business expenses. Some common spending categories include restaurants, gas purchases, and office supplies. For example, if your business spends a lot on office supplies and you want to maximize rewards for your business, it’s a good idea to find a card that gives rewards for expenses related to office supplies. Generally, credit card providers evaluate your personal credit score and credit report when considering you for a new card. Secured credit cards generally only require a personal credit score of 300+, which is as low as it gets, and unsecured credit cards require a score of 600+. Secured credit cards typically require fewer qualifications and are less risky for credit providers. Generally, credit card providers require you to have a personal credit score of 300+, which is just about as low as it gets. They will also require a cash security deposit of $200+. In comparison, an unsecured credit card doesn’t require a cash deposit, but instead requires a personal guarantee. Unsecured credit cards require a personal credit score of 640+. In addition, they also usually require that you pledge a personal guarantee. This means they can come after your personal assets if you fail to repay your debt obligation. Besides your credit score, the major difference is that secured credit cards hold a cash deposit in a collateral account, and your credit limit will always be equal to that. The personal credit score requirements for business secured credit cards (300+) and business unsecured credit cards (640+) are typically the same as a personal card. If you want a secured credit card and have poor personal credit, consider a fair credit business credit card. However, in addition to your personal information, you will also need to provide basic business information. You can use both secured and unsecured credit cards at any store that accepts credit cards or anywhere online by entering your credit card information. However, before using a secured credit card, you must first provide the card provider with your cash deposit. This will count as your collateral and set your credit limit. Once you’re approved for a secured credit card, you will be required to provide a cash deposit before you can use your card. Your credit card limit will always be equal to your cash deposit. You can then simply use your secured credit card by swiping it any store that accepts electronic payments or by entering your card information online. The amount of your credit limit that you use is available to reuse once you repay that amount. Once you receive your approval and get your card in the mail, you can access your credit limit immediately. Similar to a secured credit card, you can use an unsecured credit card anywhere that accepts the card or online by providing your card information. Since it’s a revolving line of credit, just like a secured card, you can reuse your credit limit as you pay down your balance. The application process for a secured and unsecured credit card is the same, you can apply online in a matter of minutes or by visiting a physical branch. The quickest way to complete your application is by visiting your credit provider’s website. Regardless, they will require you to provide your basic personal information. Banks will evaluate both your personal credit report and personal credit score to make sure you can take on a new debt obligation. You will usually receive an approval decision instantly and your credit card within seven to ten days. You can quickly apply online for a business secured and unsecured credit card. Credit providers will require you to provide your business information in addition to your personal information. You can use shop and compare credit cards in our credit card marketplace. Our marketplace can help you find the best financing option for your business. We covered a lot of information on secured credit cards and unsecured credit cards. Some questions are asked more often than others, and we address those here. If you have additional questions, please visit the Fit Small Business Forum, or leave a comment below, and we will provide an answers. When comparing secured versus unsecured cards, the primary difference is that secured credit cards require a cash deposit upon approval and your credit limit will always equal that deposit. Both are short-term financing options for your everyday purchases, but unsecured credit cards require a personal credit score of 640+. What Credit Score Is Needed for an Unsecured Credit Card? Generally, credit card providers require a personal credit score of 640+ for an unsecured credit card. If you don’t meet that requirement, you can apply for a secured credit card or utilize a co-signer. A co-signer usually has a good credit score and agrees to repay the debt if you default on your payments. Will a Secured Credit Card Build Credit? A secured credit card will help you build credit, improve your personal credit health, and typically will upgrade to an unsecured credit card. By building your credit and making timely payments, sometimes your provider will automatically transition your card to an unsecured credit card. An unsecured credit card requires no cash deposit and works similarly. Secured credit cards are a good financing option for people who tend to have a lower personal credit score and who want to improve their score. Unsecured credit cards, on the other hand, are another short-term financing option that requires personal credit scores of 640+. There are also unsecured options that offer cash back and points rewards on your everyday purchases. If you’re in the market for a small business credit card, you can use our credit card marketplace to search and compare the best options. Our credit card marketplace can help you sort through several cards to find financing options that best fit your business spending needs.